Ships from Hong Kong. 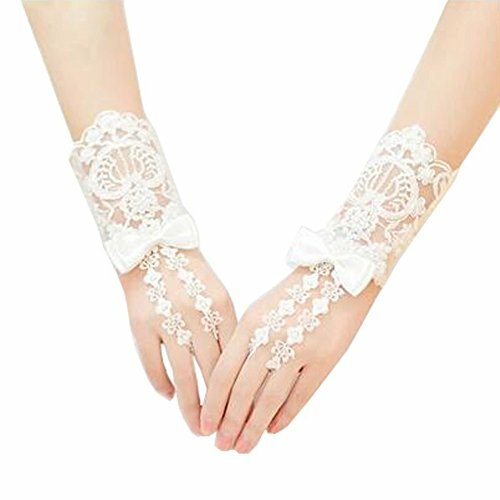 The bridal gloves is so beautiful. This gloves add elegance to your formal evening gowns and dresses brides, bridesmaids, proms, and any formal occasion. The perfect finishing touch to any evening look. Easy to wear and comfortable. Package including: 1 pair × gloves.